Where travel is a state of mind. The entire world is your classroom. We challenge you to learn more about yourself and the rest of the world by expanding your comfort zone and making memories that will last forever. When you travel with us, you'll always have a hands-on experience immersing yourself in culture. You will learn to cook authentic cuisine, dance to the rhythms carrying the history and pride of each country, and enjoy the simple pleasures that only a native would understand. Our all-star team is well connected in each of the destinations we feature. So every International Afro-Adventure has been handcrafted just for you. When you travel with us, you're traveling with a local. The philosophy at IMANI International Experiential Travel is that "Travel is a state of mind." Give yourself the opportunity to travel deeper into yourself. Let us help you tap into the soulful adventures that you've always yearned for. Traveling the IMANI way begins with investing in yourself and getting out of your comfort zone! Let us take care of the rest. Time to make your textbooks come to life! If you always daydreamed of the words dancing on the page as you read, Dominican Republic will be a great classroom for you. 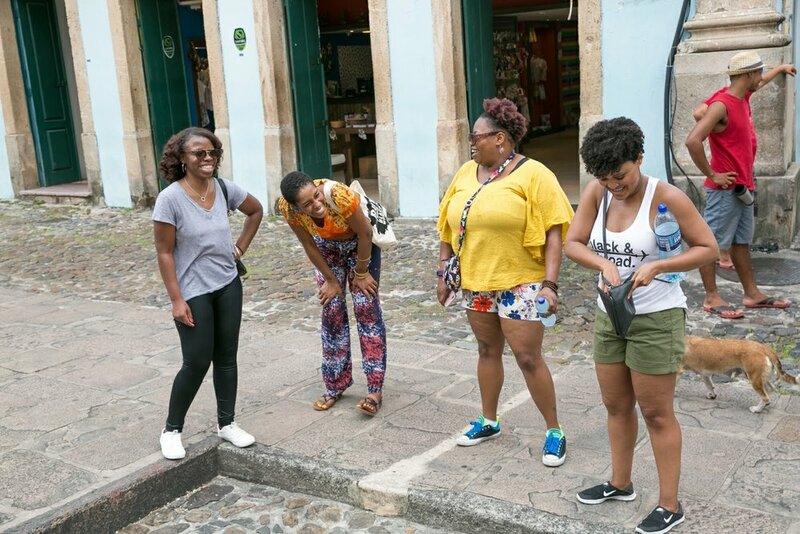 You'll learn Dominican Republic 101 through IMANI's Afro-Adventurer lens. Create traditional culinary masterpieces. Experience the art of Bachata, Merengue, Salsa, and Afro-Dominican Palos. Explore the science of getting the most magically melanated tan. If you are intrigued by linguistics or would like to brush up on your Spanish and Haitian Kreyol, the streets of Dominican Republic will prove to be the perfect place for you. Immerse yourself in all the colorful flavors of this unique Afro-Latino-Caribbean culture. Plus, we know how much you love extra credit, so we've teamed up with the U.S. Peace Corps to do a special service-learning project in a local community. Hurry and sign up because class is in session. We promise you won't want to be tardy. Be the first to hear about IMANI International's exciting events and experiences. We love adventures, so we promise you'll never get bored with us.